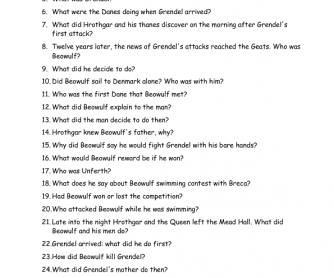 The file contains 35 questions about Beowulf plot. 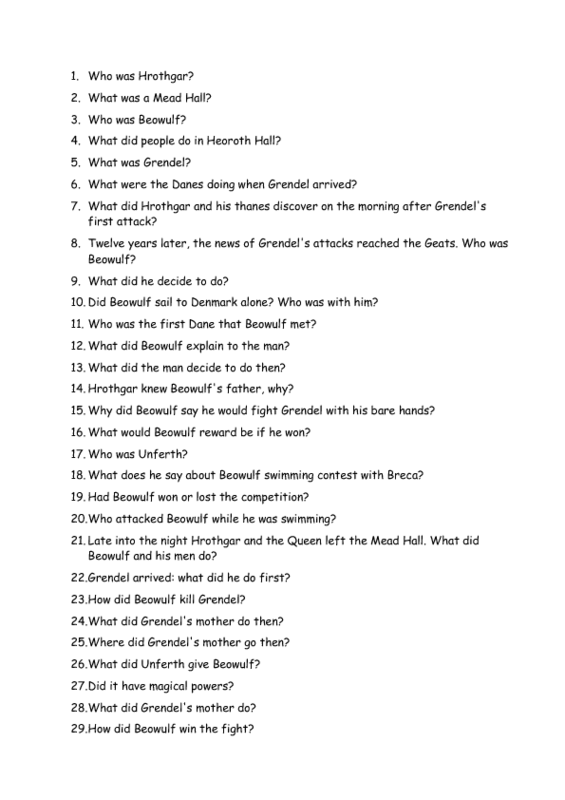 The questions are not too detailed, they provide a general outline of the story. I use them for final revision. Suits high school literature students. The answers can be organized like mind maps, too.